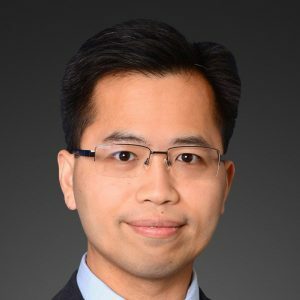 Dr. Jason Yam is Associate Professor & Undergraduate Education Coordinator at Department of Ophthalmology and Visual Sciences of CUHK, Head of Pediatric Ophthalmology and Strabismus service at Hong Kong Eye Hospital, and Head of Ophthalmology Service at Hong Kong Children’s Hospital, and. He is also Director of CUHK Jockey Club Children’s Eye Care Programme. Dr. Jason Yam graduated as Bachelor of Medicine and Bachelor of Surgery from the University of Hong Kong in 2005. He received overseas training on Pediatric Ophthalmology and Strabismus in Great Ormond Street Hospital (2011); with Dr. David Guyton of Johns Hopkins Hospital (2011); and with Dr. Kenneth Wright in Los Angeles (2012); ocular genetics with Dr. Janey Wiggs of Harvard Medical School (2016); with Dr. Alex Levin of Wills Eye Hospital (2017); and Baylor College of Medicine at Texas Children Hospital (2017); ocular oncology and retinoblastoma with Dr. Jerry Shields and Dr. Carol Shields of Wills Eye Hospital (2017). He serves as the Secretary-General of Asia-Pacific Strabismus and Pediatric Ophthalmology Society (APSPOS), Council Member of Asia-Pacific Myopia Society (APMS), Society Relations & Leadership Development Committee of International Council of Ophthalmology (ICO), Public Education Standing Committee Secretary, and Ophthalmic Education Standing Committee of Asia Pacific Academy of Ophthalmology (APAO), and many other international academic positions. He had more than 40 publications and authored 3 book chapters; and co-authored 1 book; He is the principal investigator of research grants and external funding of 6.5 million USD. He is PI of Low-concentration Atropine for Myopia Progression (LAMP) study, the first placebo-controlled RCT of 438 subjects to provide evidence for 0.05% atropine on myopia control, which confers clinical impact to millions of children worldwide. He is also PI of Hong Kong Children Eye Study, an epidemiological cohort of 30,000 children and their parents for detailed phenotypic and genotypic characterization. He has chaired 16 symposia, and has delivered 1 award lecture, 3 keynote lectures, 30 invited lectures, 45 conference papers. He also serves as an editor in 5 international journals including Scientific Reports, Medicine, BMC Ophthalmology, and Asia Pacific Journal of Ophthalmology etc. In 2019, he received the prestigious Asia Pacific Academy of Ophthalmology Nakajima Award for being the most outstanding young ophthalmologist under aged 40 in Asia-Pacific. His other awards include Hong Kong Society of Community Medicine Prize (2003), Dr Timothy Kai-Ching Liu Memorial Fund Award (2009), Distinguished Young Fellow in Hong Kong Academy of Medicine (2013), Asia Pacific Academy of Ophthalmology Tano Travel Grant (2014), World Ophthalmology Congress Travel Grant (2014), Asia Pacific Academy of Ophthalmology Leadership Development Program Award (2015), Asia Pacific Academy of Ophthalmology Distinguished Service Award (2016), Asia Pacific Academy of Ophthalmology Achievement Award (2016), and Hospital Authority Corporate Scholarship (2016), inaugural Asia-Pacific Strabismus and Paediatric Ophthalmology Society Young Investigator Award (2017), and Asia Pacific Academy of Ophthalmology Outstanding Service in Prevention of Blindness (2019). Children Eye Studies: territory-based epidemiology, etiology, prevention, intervention, and molecular genetics of children eye diseases. Myopia: epidemiology, risk factors, genomic investigations, gene mapping and interventions in prevention of progression. Retinoblastoma: etiology and novel treatment modes. Genetic eye diseases: phenotypic characterization, family linkage, genomic investigations, and gene mapping of early onset glaucoma, congenital glaucoma, congenital cataracts, inherited retinal diseases, inherited corneal diseases and dysfunctions. Retinopathy of prematurity: prevention, and treatment. Our team has received over USD 6.5 million in research funding, from University Grant Committee, Food and Health Bureau, United Bank of Switzerland Optimus Foundation, Children’s Cancer Foundation, and Hong Kong Jockey Club Charities Trust. Our team has conducted the Low-Concentration Atropine for Myopia Progression (LAMP) trial, which was the first placebo-controlled RCT of 438 subjects to provide evidence for 0.05% atropine on myopia control, and has changed the treatment paradigm of myopia progression worldwide. This confers clinical impact to millions of children. Our team is conducting the Hong Kong Children Eye Study, an epidemiological cohort of 30,000 children and their parents for detailed phenotypic and genotypic characterization. We are the only tertiary centre in Hong Kong to manage all retinoblastoma cases. We have launched the city-wide “Hong Kong Retinoblastoma Awareness and Education Campaign” to promote early detection of retinoblastoma in Hong Kong. Our work has established the role of convergence fusion as important parameter to assess the control of intermittent exotropia and to predict its progression. This has objectified the timing of surgical intervention for intermittent exotropia. The PI has been awarded the prestigious Hospital Authority Corporate Scholarship on “Paediatric Ocular Genetics”, and was commissioned to launch this service in Hong Kong. Yam JC#, Jiang Y, Tang SM, Law AK, Chan JJ, Wong E, Ko ST, Young AL, Tham CC, Chen LJ, Pang CP. Low-concentration Atropine for Myopia Progression Study (LAMP): One-year result of a Randomized, Double-Blinded, Placebo-Controlled Trial on Atropine 0.05%, 0.025%, and 0.01%. Ophthalmology 2018 (In Press). Yim CL, Tam M, Chan HL, Tang SM, Au SC, Yip WW, Ko ST, Rong SS, Chen LJ, Ng DS, Yam JC#. Antenatal steroid reduces risk of retinopathy of prematurity: A systematic review and meta-analysis. Br J Ophthalmol 2018 April 9. Chu WK, Law KS, Chan SO, Yam JC, Chen LJ, Zhang H, Cheung HS, Block NL, Schally AV, Pang CP. Antagonists of growth hormone-releasing hormone receptor induce apoptosis specifically in retinoblastoma cells. Proc Natl Acad Sci U S A. 2016 Dec 13;113(50):14396-14401. Tang SM, Chan RY, Bin Lin S, Rong SS, Lau HH, Lau WW, Yip WW, Chen LJ, Ko ST, Yam JC#. Refractive Errors and Concomitant Strabismus: A Systematic Review and Meta-analysis. Sci Rep. 2016 Oct 12;6:35177. Chan PY, Tang SM, Au CL, Rong SS, Ng DS, Chen LJ, Yam JC#. Association of gestational hypertensive Disorders with retinopathy of prematurity: A systematic review and meta-analysis. Sci Rep. 2016 Aug 5;6:30732. Chan JT, Lam CP, Kwok MK, Wong RL, Lee GK, Lau WW, Yam JC#. Risk of recurrence of retinopathy of prematurity after initial intravitreal ranibizumab therapy. Sci Rep. 2016 Jun 1;6:27082. Kwok JJ, Chong GS, Ko ST, Yam JC#. The natural course of intermittent exotropia along a 3-year period and the factors predicting the control deterioration. Sci Rep. 2016 Jun 3;6:27113. Luk A, Yam JC#, Lau HH, Yip WW, Young AL. Surgical Outcome of Medial Rectus Resection for Recurrent Exotropia using a novel surgical formula. J Ophthalmol. 2015;2015:758463. Lam CP, Yam JC#, Lau FH, Wong CY, Yu CB, Fan DS, Lau WW. SR and LR union suture for the treatment of myopic strabismus fixus: is scleral fixation suture necessary? BioMed Research International. 2015; 2015:470473.